Recently I’ve been sharing a few artefacts* of the writing life with you and this week the spotlight’s on the Style Guide. 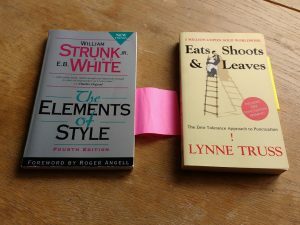 The two guides featured are my desktop “quick reference” go-to’s, the venerable Strunk & White’s The Elements of Style and the far more recent and for a while hugely popular, Eats, Shoots & Leaves. In addition to these desktop aids, I also subscribe to the Chicago Manual of Style Online, which I practically live in during the copyediting and proofing stages of the book. The other reason Style matters is because it’s about consistency in the presentation of the story, which is all about quality of reader experience in terms of both understanding and avoiding distractions. 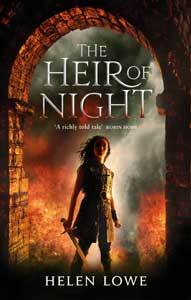 For example, part of The Wall Of Night series style is that mindspeech is always in italics with speech marks. In that way, the reader should always know, even without any other tags, that this is mindspeech and the conversation is private, as opposed to having been spoken aloud. So that’s why style guides are an essential artefact of the writing life.